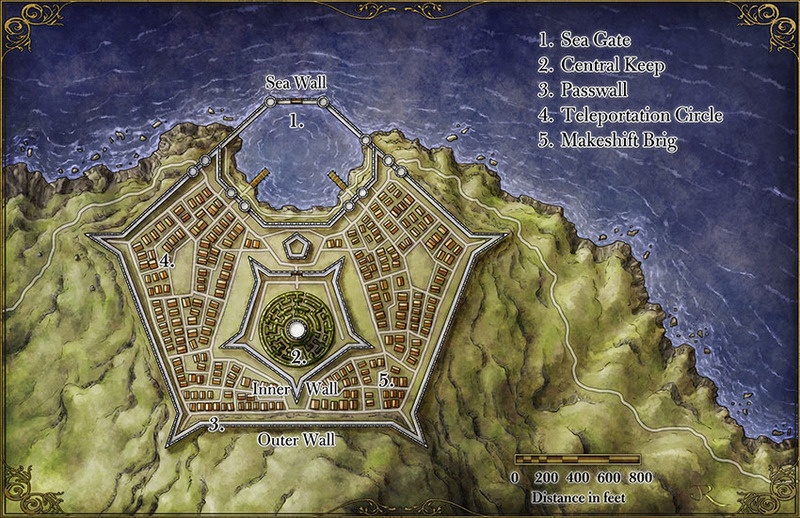 Star Fort map for the Zeitgeist adventure – Island at the Axis of the World. the sea wall is a bit stupid may I say. It would probably be used for military purposes hence only two docks. But the wall in itself is useless. Also I don’t get the spiky wall thing. It’s a fort, wouldn’t it be collapsible? It provides a field of fire along the walls. Many star forts in history had similar features.